The first trimester is often considered to be the most difficult. Your rapidly changing body may bring on morning sickness and fatigue may be at its worst, which may leave you struggling to adapt to the pregnancy. 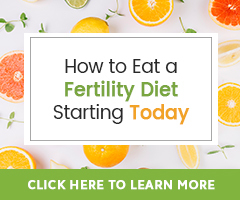 You may be keeping the pregnancy secret until after your 12-week scan, leaving you feeling unsupported during a time of both excitement and perhaps, worry. If you find you have thoughts about the worst happening, instead shift your thoughts and start thinking positively about the pregnancy. Thinking positive is as much about cutting out negative thoughts as it is about being positive. If you have experienced loss before, it is understandable that you are weary about making plans for the future. Planning for the future, however, and looking forward to life as a family, can help you to feel less worried about the pregnancy. Instead of worrying about what could happen, focus instead on how great it is that you are pregnant. You have conceived, and you are pregnant, and that is worth being thankful for. Take it one day at a time, and be thankful for today. Cut the junk food from your diet, and reduce your caffeine intake. Make water your go-to drink, and make sure you are eating a healthy diet rich in fresh fruits and vegetables. If you don’t already, start exercising a few times a week. Yoga, swimming, and walking are all great starting exercises during pregnancy. Relaxation time is key to staying calm. Give yourself time each day to simply sit, breathe, and feel positive about your pregnancy. Taking a yoga or meditation class will teach you the breathing techniques and mindfulness useful for true relaxation. Do not keep your thoughts to yourself. Be honest with your partner about how you feel. He could be feeling the same way, and may appreciate a chance to discuss these emotions. If you have told friends or family about the pregnancy, turn to them for support when you have questions or concerns about the pregnancy. Come up with a few positive mantras that you can repeat during times of stress. Use the mantras to get you through the difficult days, and focus on them to help you stay positive when worry creeps in. Listen to what your body is telling you. Don’t overdo it. If you wake up tired, see if your boss will let you start work later so you can catch up on rest. If you feel tired before the end of the day, take a nap. If you have tried the above, and are still feeling unsure, stressed and/or worried about the pregnancy, speak to your healthcare provider. They may be able to offer support and advice to help you to overcome your worries and begin to feel more positive towards the pregnancy. Thank you so much for sharing those guidelines! Such a great hand for moms, specially for first time moms.